Let’s kick off the Easter season with a free printable. This Easter Pugs Bunny free printable is especially designed for The Pug Diary readers and will look amazing whichever way you want to use it. It will look great on your wall in a frame to add to bring some Easter cheer to your home. Or you can take it to your local printer and use it on the front of an Easter card. To get your Easter Pugs Bunny Printable, all you need is Adobe Acrobat Read which is free to download here. 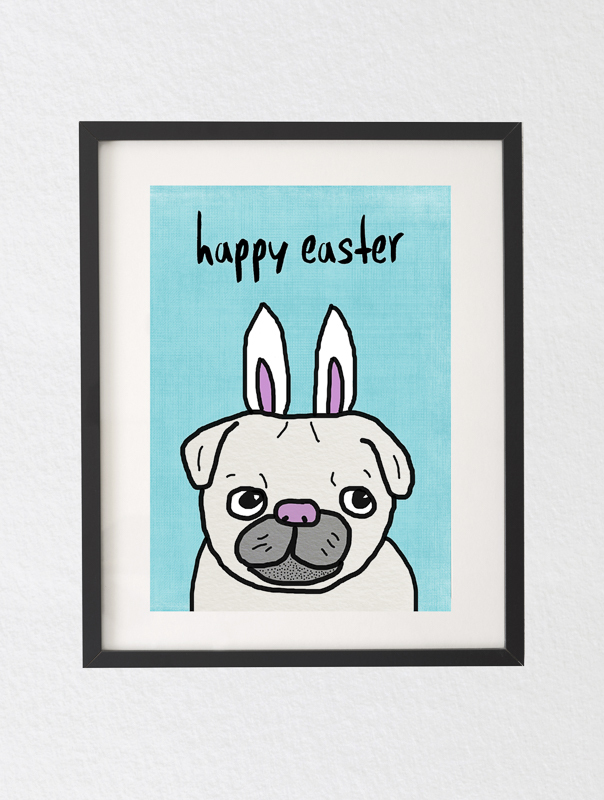 Then download your Easter Pugs Bunny PDF below. Enjoy your Easter Pugs Bunny Free Printable and share with me on Facebook, Instagram and Twitter how you use it this Easter.